"I haven't published a post about motherhood on Olive and Tate in what feels like forever and there's a reason why. About a month ago, I wrote what I think is my most heartfelt and "put it out there" motherhood essay and it has left me feeling all of the feels (mainly, totally exposed). I know my words won't be met with complete understanding and will potentially draw some negative feedback, but the topic is incredibly personal to me and the post needed to be written. It took me 18 months to finally find the right words and now they sit in my drafts folder, waiting to be published. All that I ask is that even if you don't understand my experience or share similar feelings, you consider that maybe another mother you love knows exactly what I'm talking about. So, with her in mind, please try to be thoughtful in your responses and commentary. "In the hours and days after I gave birth I waited. I waited for the tidal wave of feelings, the rush of extreme love that every other mother was telling me I should be feeling. I waited and it never happened. I never changed." 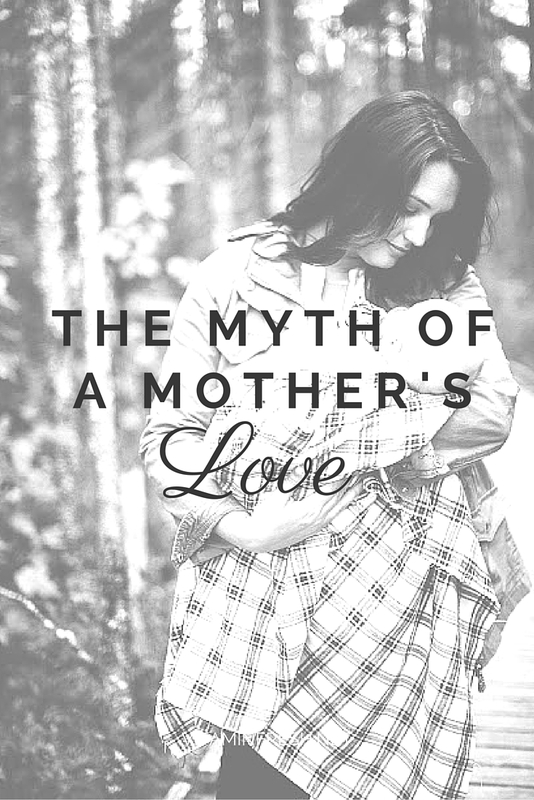 Many of you reached out after I published the excerpt of "The Myth of a Mother's Love" to tell me that you've felt similar feelings or wished you could have said the right thing to a friend who was going through a similar experience. Thank you to each of you for your kind words - my hope is that I was able to tackle this topic with a little bit of grace and a lot of understanding. My word. I feel like you went inside my head, made all my thoughts make sense and put them down on paper in such an eloquent way. So refreshing (and a relief!) to hear this from someone else. My boy is 10 months and I'm still waiting for that "aha moment". Thank you for writing this. I am definitely one who needed to read this. I'm not sure if I've ever commented on your blog before, although I'm a reader & follower. :) Anyways, I have four words for you. I'm proud of you! I had a reverse experience. I completely lost myself with the birth of my daughter and was consumed by her existence; in a way, it was kind of terrifying and made me very anxious. Now, 20 months later, I'm learning to find myself again and invest in my hobbies. I'm a mother yes, but this season of life is fleeting and one day when the kids are grown and gone I will be left with myself. So kudos to you for not being ashamed of taking care of yourself first and foremost. I loved this article, and as usual I love that you are able to share such personal thoughts with strangers. I went through the exact same feelings, only to realize that hey, it is OK to not feel like being a mother is the only thing that matters once you have a baby. I've always believed that for me to be happy in my marriage, as a mom, as a friend, as a daughter, and even as an employee; I needed to be happy with the most important person there is, and that's me. It wasn't until I felt like I had that relationship down, that I was able to share it with everyone else in my life, and be able to truly live. The way I see it is I have this amazing life that I have built, that I get to share with my husband, and our daughter is the icing on the cake. I love having a kid, but I also love being me, and I need to cherish that if I'm going to the best person I can be with everyone else.